This paper proposes an object-oriented programming language framework that deliberately separates mechanism from policy. Mechanisms such as slot access and message passing are designed to have a natural semantics and to be efficient. Conventional and controversial concepts such as class, inheritance, and method combination, on the other hand, are classified as policy, and are left open to the user by providing so-called hook mechanisms. TAO is a language conforming to this framework and has only a few more than twenty primitives for object-oriented programming. 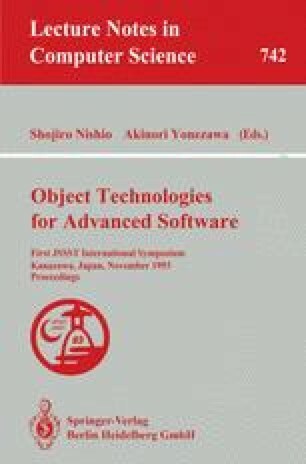 This paper also gives examples illustrating how conventional concepts of object-oriented programming can be implemented on top of these primitives.